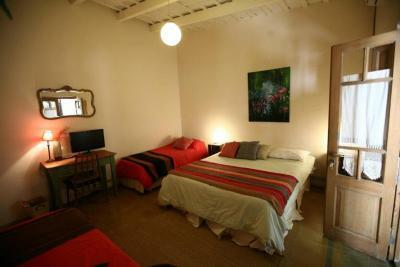 Lock in a great price for Alma de Proa Bed & Breakfast – rated 8.4 by recent guests! Simple, cozy, pretty, few rooms, very quiet. Very relax owners. The rooms were quite nice, and the owners were super helpful and friendly, we had a very nice conversation on our arrival and provided several tips to move around. Room was really nice, had all the amenities. 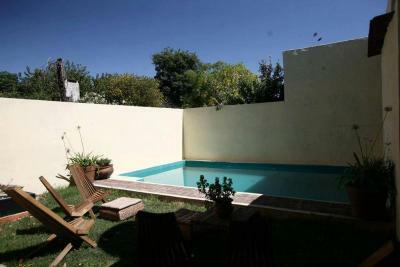 Close to downtown San Antonio de Areco. Hosts were really friendly, and offered some great recommendations! It is a lovely bed and breakfast. It was recommended to me and it was a treat to be there. 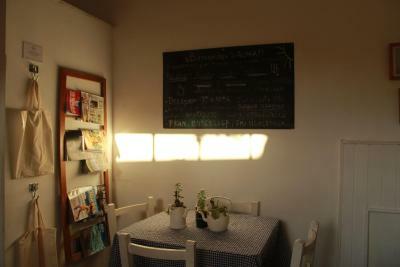 The breakfast was superb and the owners were great and very helpful. I had a wonderful stay in the B&B and the town. My weekend at Alma de Proa was incredible. The bed and breakfast was beautifully decorated. I especially enjoyed all the wonderful plants. The vibe is very peaceful and cozy. Franco and Emilia are so kind and make you feel right at home. They not only picked me up and took me back to the bus station, but they also told me great places to go in town. My bed was very comfortable. I also loved the homemade breakfast. 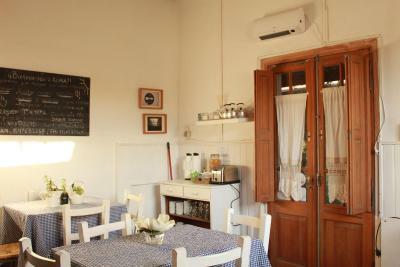 I would definitely come back here and recommend it to anyone traveling to San Antonio de Areco. It was one of the best and most relaxing weekends I have had in Argentina. Es un excelente hospedaje. La atención es muy buena y el establecimiento es atendido por sus dueños. 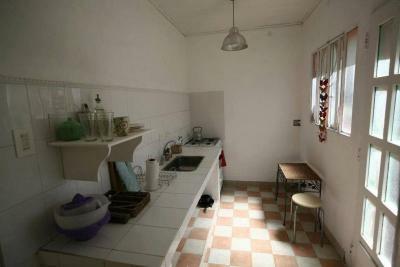 Las habitaciones son muy lindas, amplias y limpias. 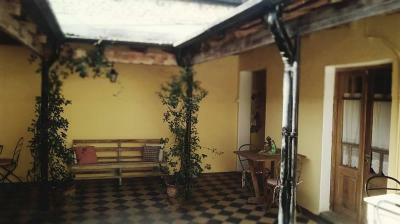 El patio, con su galería, invita a la mateada, a la charla o simplemente a descansar. El desayuno excelente: café, té, jugo natural de naranja, pan fresco y muy rico, queso crema, mermelada, dulce de leche y un budín de naranja y zanahoria muy rico. La atención de sus dueños fue impecable , amable cordial . 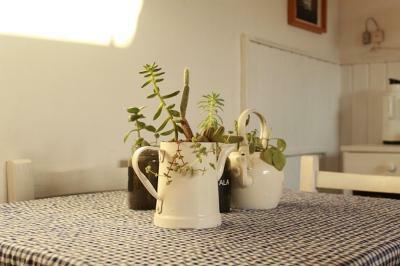 el lugar esta excelente ubicado a 7 cuadras de la plaza principal, su patio , sus plantas dan calidez al lugar, volvería siempre .......da gusto un lugar así, donde encontras calidez de hogar Franco su dueño da información precisa sobre donde ir y se muestra predispuesto a ayudar con las dudas. Ambientación y comodidad excelentes. Calidez, y trato humano de parte de Franco que fue un súper anfitrión. la ubicacion es buena, el desayuno riquisimo y la atencion excelente. 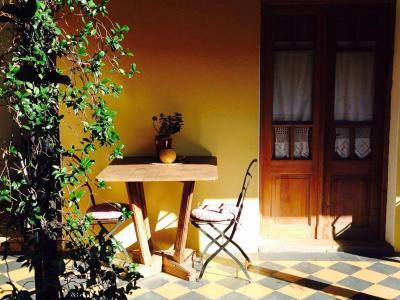 A bio-friendly property, Alma de Proa Bed & Breakfast offers Yoga classes, massage treatments and meditation, and alternative tours of San Antonio de Areco. 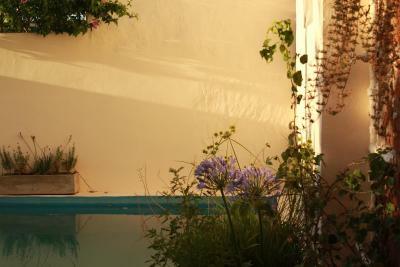 A swimming pool can be enjoyed during the summer. WiFi is free. 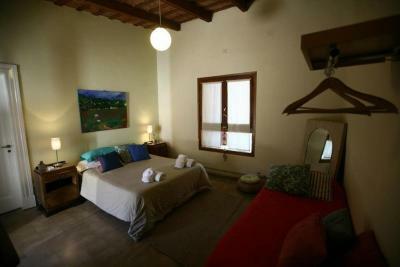 Arranged in a warm refurbished house, the bright rooms in Alma de Proa Bed & Breakfast feature a private bathroom, air conditioning, and a desk. All linens are made from organic 100% organic textiles. 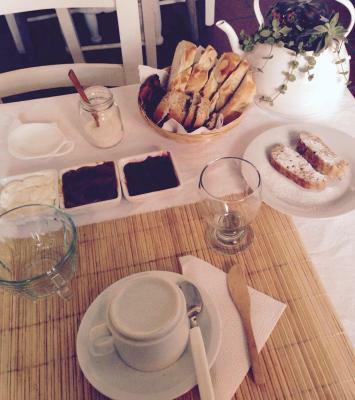 Breakfast is served daily with homemade breads, juice, cereals, cookies and pastries. Alma de Proa is a 10-minute walk from Gomez Square, a 15-minute walk from Vieytes Square, and 0.7 mi from San Antonio de Areco Station. Ezeiza International Airport is 84 mi away. 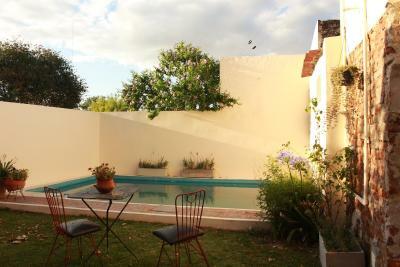 When would you like to stay at Alma de Proa Bed & Breakfast? 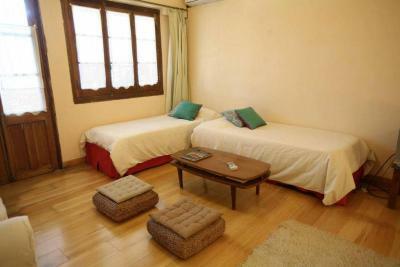 This room features a double bed, a private bathroom, and air conditioning. 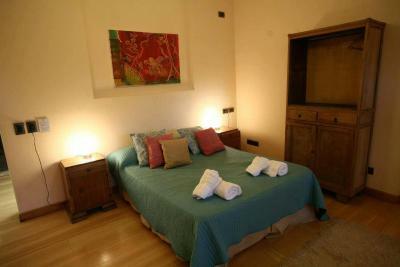 This room features a private bathroom, a fully equipped kitchen, and a living room with a TV. 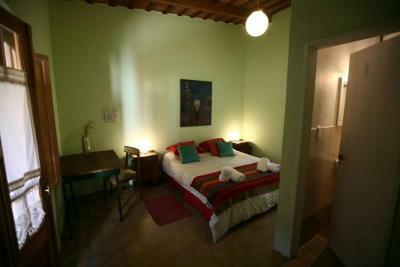 This room features a double bed and 2 single beds, or 4 single beds, a private bathroom, air conditioning, and a desk. 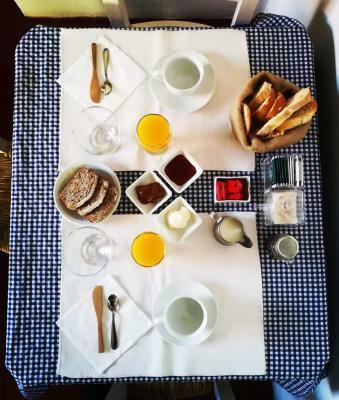 House Rules Alma de Proa Bed & Breakfast takes special requests – add in the next step! Please inform Alma de Proa Bed & Breakfast of your expected arrival time in advance. You can use the Special Requests box when booking, or contact the property directly using the contact details in your confirmation. Bathroom is old and needed a good cleaning. Breakfast is just coffee and an awful lot of milk products.